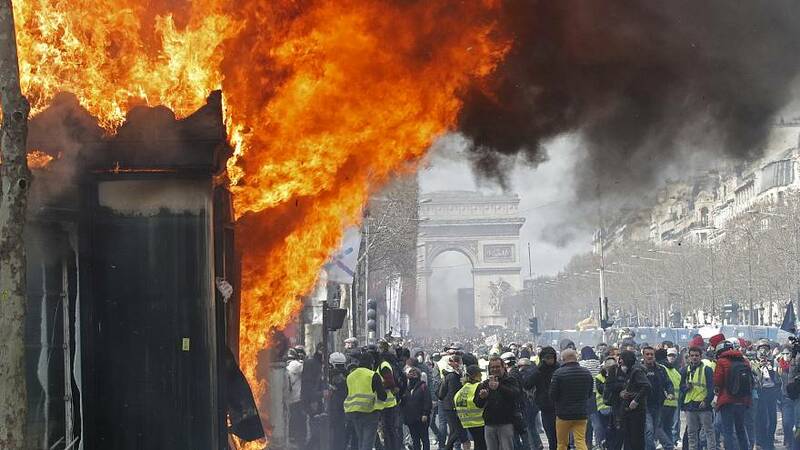 France’s prime minister has said Paris's police chief has been sacked in response to the latest "gilets jaunes" (yellow vest) protest that transformed the capital into chaos with scenes of rioting and looting on Saturday. In a televised statement, Prime Minister Edouard Philippe said: "From next Saturday, we will ban 'yellow vest' protests in neighbourhoods that have been the worst hit as soon as we see signs of the presence of radical groups and their intent to cause damage." Damage costs since the start of France's "yellow vest" protests are estimated to be at least 170 million euros, Finance Minister Bruno Le Maire told reporters on Monday.